If you’ve ever hired a contractor for a home improvement project, then you know how confusing it can be. Project estimates can vary wildly, and each of the contractors seem so sincere when they tell you that their price and service is the best. While most are honest, good-intentioned businesspeople, you do need to be wary of home improvement scams. Scams have always existed, but they’re becoming so commonplace as the economy worsens that even primetime television networks, such as Dateline are calling attention to them. What’s worse is that oftentimes these scammers target the most vulnerable – senior citizens – because they generally are more trusting than others. If you’re about to embark on a home improvement project, here are five of the latest scams and how to recognize them. This is perhaps the most common scam out there, and it’s wildly successful because it appeals to the human desire to get a great deal. The scam usually starts with a newspaper ad or a mailer that advertises a service at a ridiculously low price, such as an air duct cleaning for $49.99. The consumer gets it and believes that they have a chance to get a service that they need for a low price, so they call the company. That’s where the switch comes in. Once the technician arrives, he proceeds to explain to the homeowner that his air ducts, or carpets, or roof, or whatever the case may be, are in much worse condition than the average. He then quotes them a different price – one that’s hundreds or sometimes thousands of dollars over the advertised price. The bottom line? If a price seems too good to be true, it probably is. Some dishonest contractors knock on unsuspecting homeowners doors and make them an offer they can’t refuse. They explain to them that they’ve recently finished another job and have some left-over material, and if they don’t use it, they’ll just have to throw it away. Driveway sealers use this scam a lot, and explain that the sealant can’t be stored once it’s mixed. They tell the homeowner that since they already have the materials, they’ll offer them a low price if they agree to have the work done. But what the homeowners don’t know is that the contractor didn’t just come from another job, and the “materials” that he’s using are generally substandard, and in some cases could even cause damage to the property. For example, a contractor who promises a bargain driveway sealant may just be using black paint or an array of other materials that will simply wash off in the next rain. An honest contractor will never knock on your door and offer to sell you unused materials at a discounted rate. There are bands of contractors who travel city to city offering their services by knocking on doors and telling the homeowners that they’re doing a lot of jobs in their neighborhood and asking if they want to hire them as well. But what they don’t mention is that they don’t have the proper licenses, training, or experience to get the job done. In addition, these contractors will be unable to get the required permits, so if anything goes wrong with the work, you – and not the contractor – will be held responsible. At the very least, you’re likely to end up with shoddy or even unfinished work. Another scam to be on the lookout for is the contractor who asks you for a large up-front payment, or in some cases, the total payment, before the work even begins. Most of these scam artists will simply take the money and run – leaving the homeowner with empty pockets and a job that is never even started. A reputable contractor may ask for a small deposit, but most payments will be paid at the completion of the job, or for very large projects, in stages as the work is completed. Finally, there is a type of contractor who consistently runs advertising that promotes low-ball prices for services. Some carpet cleaning companies are known for this. And while they do indeed come and clean carpets for an unbelievably low price, in the end, the homeowner received nothing more than what she could have done with her vacuum and a little hot water. It’s important to remember that when you’re paying a low price for a service, you’re likely getting only the basics, and most of the time, that amounts to a little bit of nothing. 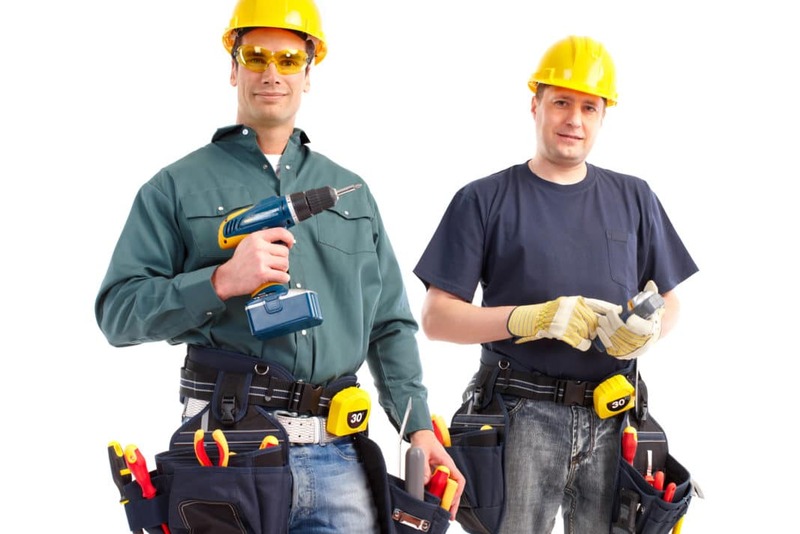 So, do you feel better prepared to hire a contractor for your next home improvement project? Remember that these unscrupulous contractors have worked for years to perfect their scams, and until you understand what they’re doing, you’ll be helpless against them. If you’ve been scammed, or have recently avoided one, share your story here.